Love this shade of Lipstick Pink ! 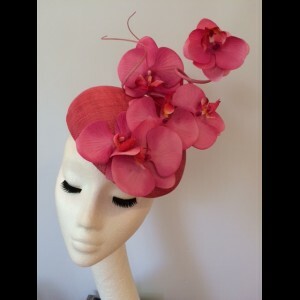 A beret shaped headpiece with curled quills and orchids. Simple beret shaped headpiece in Lipstick Pink sinamay, fully lined and mounted on a narrow silver hairband. 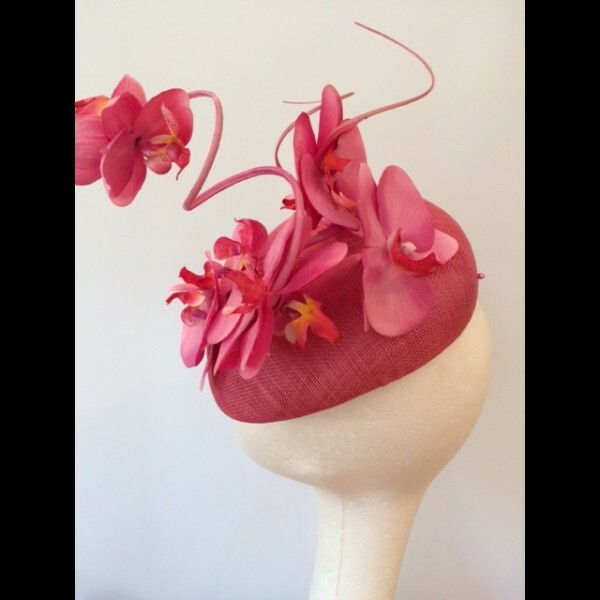 Adorned with toning hand curled quills and a mass of Orchids. Available in alternative colours by bespoke order.